Based on “The Sentinel,” a story penned by now mythological scribe Arthur C. Clarke (who also co-wrote the screenplay with Kubrick), 2001 A Space Odyssey is, in the most basic layman’s terms and breakdown, a film about alien life which not only makes their presence felt ambiguously to humans, but ultimately tries to guide them into metaphorically BECOMING humans again, something that ironically got lost in them amongst the vast backdrop beauty of space and being able to exist in it and travel in it. Then, of course, there is a subplot in the movie — which acts almost as a terrific short film, which is in the middle of the film and rightly the center of the film — in which a team of astronauts trek to Jupiter to further try to suss out said aliens. Most of the astronauts on the journey are traveling in a frozen state of virtual flux suspended animation whilst on the trip. Only two astronauts are awake and are manning the craft, aided by the HAL 9000 computer, a super erudite entity which eventually shows that it has much more emotion and depth than either of the two men, both of whom seem lost in a vapid kind of awkward silence much throughout the film. And that is one of the myriad beauties of 2001: Kubrick constantly spins a wheel of duality and almost contradict in most of the characters in the film, as he cast actors who are perfect in their roles, though they are mainly unknowns. It’s interesting how one of the most associated lines with the movie, a tagline, which isn’t even mentioned in Kubrick’s final cut that we have all known for 50 years and counting, is “My God, it’s full of stars!” But in terms of a Hollywood sense, it’s anything but. One of Kubrick’s many strokes of genius in 2001 is the casting of the male leads, all of whom have a sense of drabness about them. People like Dr. Heywood Floyd (played by William Sylvester), who is manning the entire project to find the aliens, and the astronauts aboard the ship headed to Jupiter, Frank Poole and Dave Bowman, (played by Gary Lockwood and Keir Dullea, respectively) are, even though they are the central figures of the film’s narrative, especially Bowman, for the most part drab, reticent figures. There’s all this expansive space and spacecraft and space stations and phone calls that can be made via video (Kubrick predated Skype decades before a thought even crossed the human fabric), or the necessity of anti-gravity boots or having to use zero gravity toilets, yet the main characters seem to be in another universe entirely, non-phased by any of it. The two astronauts don’t even communicate much, just mainly on work levels and even then, when they do, it’s in mannered and stilted dialogue, there isn’t any warmth between them at all. In fact, the HAL 9000 computer on board displays more HUMAN emotion, unpredictable personality, intelligence, and ultimately paranoia and ruthlessness, than anyone aboard the ship, let alone the entire movie. What it all culminates to I will leave spoiler-free, and even though one would be hard-pressed to find someone who still hasn’t seen 2001: A Space Odyssey, there are still newer generations who are still discovering it for the very first time, something that in and of itself must be a wonderful thing, because the lucky ones who get to experience it for the very first time will have special experience of seeing one of the greatest American films ever produced, by one of the greatest film directors America has ever produced. Another benchmark of 2001 is the way it presents its story and especially the visuals in a completely realistic manner. One of the reasons the film holds up even today, even though it’s a half-century old, is that it still doesn’t appear to look dated. In fact, even though the year 2001 is 17 years old now in reality as we are in 2018, the film still looks credibly futuristic, but not in the apocalyptic dour Blade Runner sense, but more in a “this really could happen” sense. For audiences in 1968 to see the film, there must have been a dazzling rush of being able to glimpse into a future that was almost 35 years ahead, and have it seem and feel as if it were real and that it could completely happen this way. 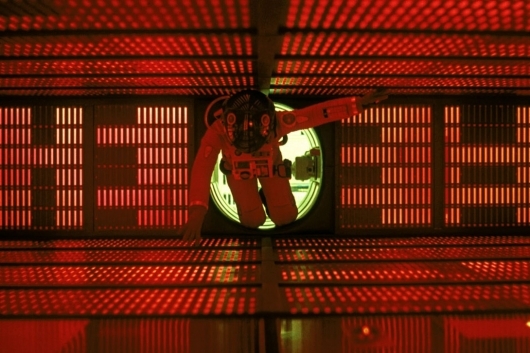 All of that and more are what make 2001: A Space Odyssey an odyssey like no other. There’s the dazzling story and groundbreaking visual and special effects, which Kubrick helped helm and which won him his only Academy Award in his lifetime. And then there’s the expert and ingenious use of music, like Strauss’ “The Blue Danube,” and the centerpiece of the film, “Sprach Zarathustra.” The latter arrangement acts as the ominous aural bookends which open and close the film, and still stands as one of the most recognized pieces of music in film history. 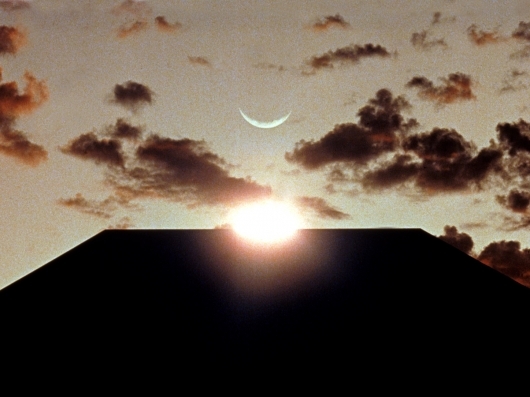 A true bonafide American masterpiece, there aren’t many films like 2001, but there are plenty influenced by it, whether it be other films or filmmakers or authors or just artists in general. Something as dazzling of a spectacle as 2001 is the type of film that not only deserves to celebrate its long and still healthy and vibrant 50-year history, but is also the type that comes along once every 50 years, if not one that will ever come along again. The tagline on the original 1968 poster mentions that 2001: A Space Odyssey is “An Epic Drama of Adventure and Exploration,” something that not only the film, story, and characters go through, but especially the viewer. 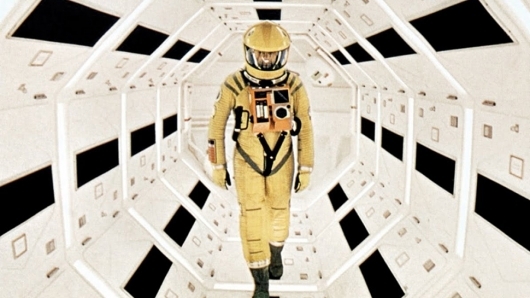 Not too many films have that kind of impact, but then again, not too many filmmakers, even the most maverick ones, have had that kind of impact that Stanley Kubrick did, especially with 2001: A Space Odyssey.